For the past six years, LearnToLive Global has been helping communities in need across the globe by offering them health care and education and building them clean water systems. But the non-profit has been reaping rewards locally, too, for the New Orleanians who have found themselves re-energized through their volunteer efforts with the group. A strong case in point is LearnToLive founder Yanti Turang. She’s half Australian, half Indonesian, and a former rock and roller with local band Pocketfoxx, who walked from a recording gig in California a decade ago as Hurricane Katrina floodwaters inundated New Orleans. So she headed back to Australia to get a nursing degree and then returned to New Orleans, working at a local hospital and moonlighting as a nurse on local movie sets. All good, but she kept thinking she needed to do more. One day, sitting idly on a set, she had an epiphany, she says, and wrote the proposal for LearnToLive on the spot. She raised $5,000 in seed money and hasn’t looked back since. Turang rounded up two dozen friends and acquaintances from far and wide to accompany her on the first LearnToLive trip to Indonesia in 2011. The workers met with government officials in Indonesia, and offered health assessments and education to people in areas of North Sulawesi, where Turang’s father and his family were from. 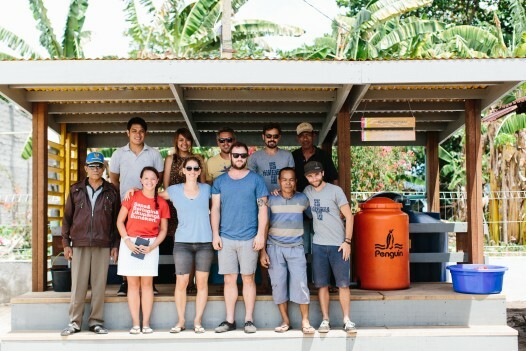 The group saw 700 patients on that first trip and created a rainwater catchment system for one community. Nowadays, Turang takes crews of 50 or more volunteers several times a year and not only to Indonesia but also to Laos and South Africa. 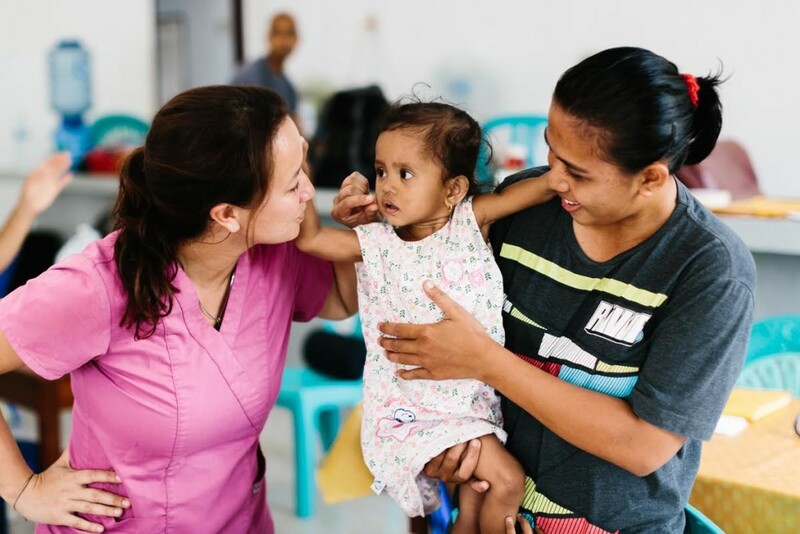 LearnToLive plans to establish a permanent clinic in Indonesia; elsewhere the organization partners with established NGOs or non-profits on the ground. Workers adhere to a simple but powerful mission: alleviate suffering in remote areas of the world by giving people a hand with health education and care and clean water systems. LearnToLive’s educational approach includes mental health as well, an aspect of the program that excited board member and New Orleans psychiatrist Arwen Podesta. Volunteers pay their own way to missions abroad, and the work they do there is funded by partnerships, grants, donations and an annual fundraiser (this year on Wednesday, April 6). “It’s not a big budget, but we reach a lot of people,” Turang said. 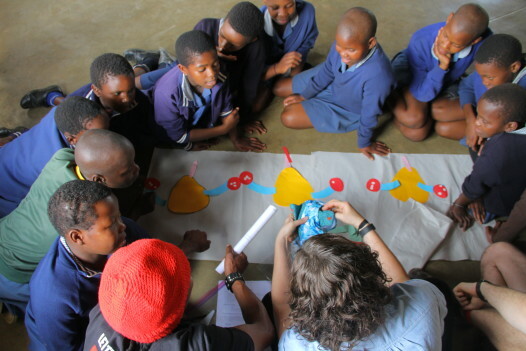 Many LearnToLive volunteers have made multiple trips abroad. Two-thirds are health-care professionals, but members also have included accountants, nursing students, board members and one Australian who is a rather well-known puppeteer. Now the organization is partnering with medical and nursing schools to incorporate students into these international hands-on trips. So why export help to the world beyond, when there continues to be need in our own backyard? It’s a question Turang says she gets frequently. It’s a pay-it-forward kind of thing. New Orleanians who learned how to receive help after Hurricane Katrina now are finding the empowerment of being able to give it. When: Wednesday April 5th at 7:00 p.m. – 10:00 p.m.
Where: Beauregard Keyes House, 113 Chartes St.
Tickets: $125.00 (full price) and $65.00 (for students); tickets can be purchased here.